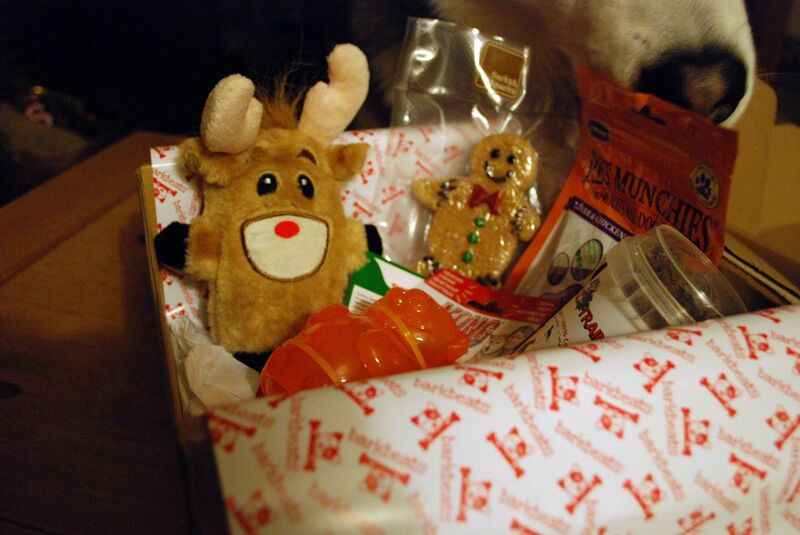 Milo has tried a fair few subscription boxes now but after the disappointment of the last delivery (our second Pawsomebox) I was honestly a little reluctant to try again but I'm so pleased I did. 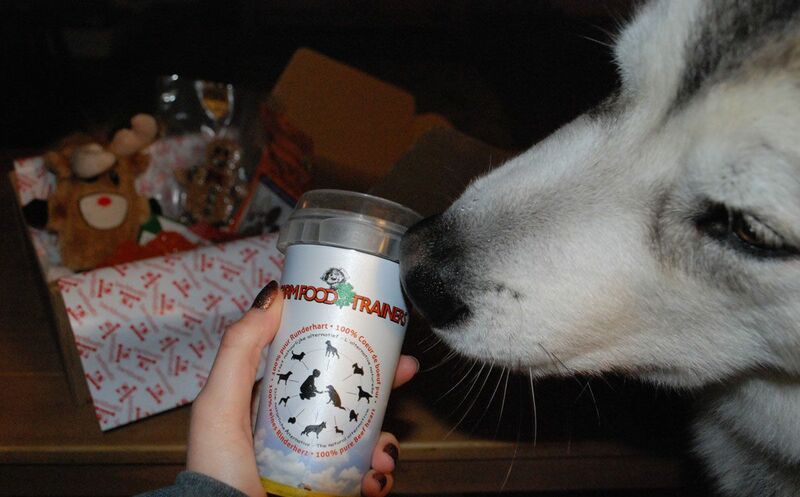 This box from BarkBeats was full of great things that Milo can't get enough of. 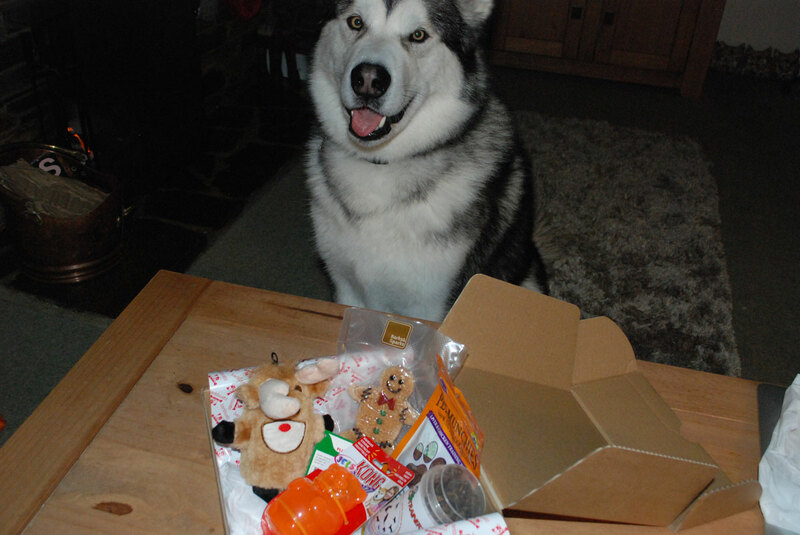 I wrapped the contents of this box up for Christmas Day and it was a lovely treat for him to have whilst everyone else enjoyed their gifts, it kept him happy and occupied! We still have some of this left because I've just been putting a handful of the beef heart flakes with his dinner from time to time almost as a different flavour topping to his biscuits. He goes mad for his food when I've added this ingredient so once all gone I'll definitely look to buying more of this particular product. 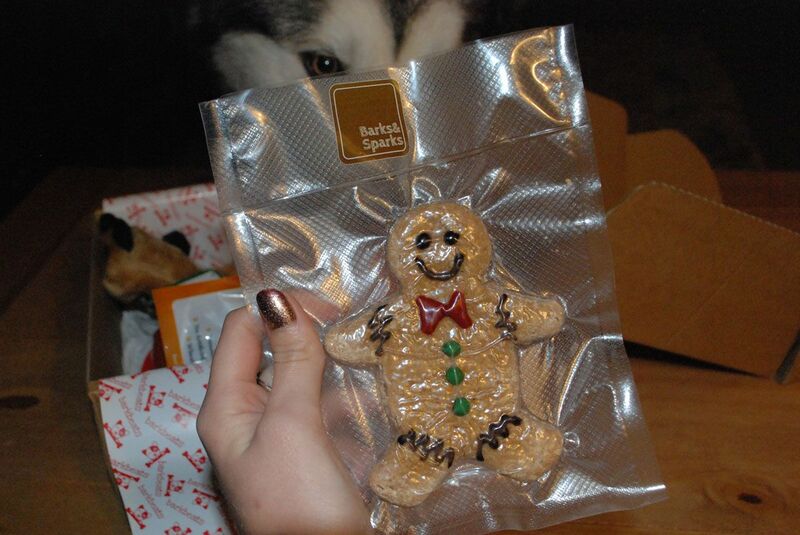 This adorable little gingerbread man was quite like a christmas cookie, it was looked pretty tasty packed with natural ingredients and lasted much longer than I expected, I think this is because of the dense oat-like recipe. 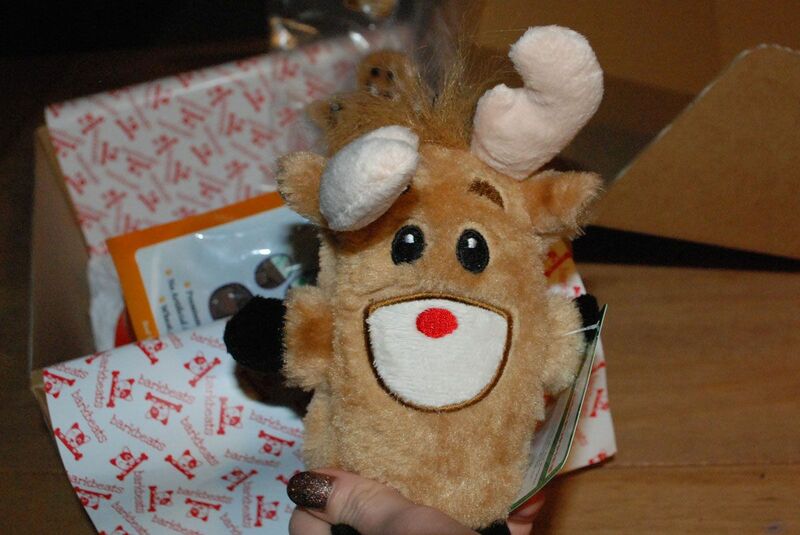 Milo's favourite toy! This kong beaver is made of a thick rubber that Milo has squeezed over and over, chewed and is still in one piece almost as good as the day he got it. 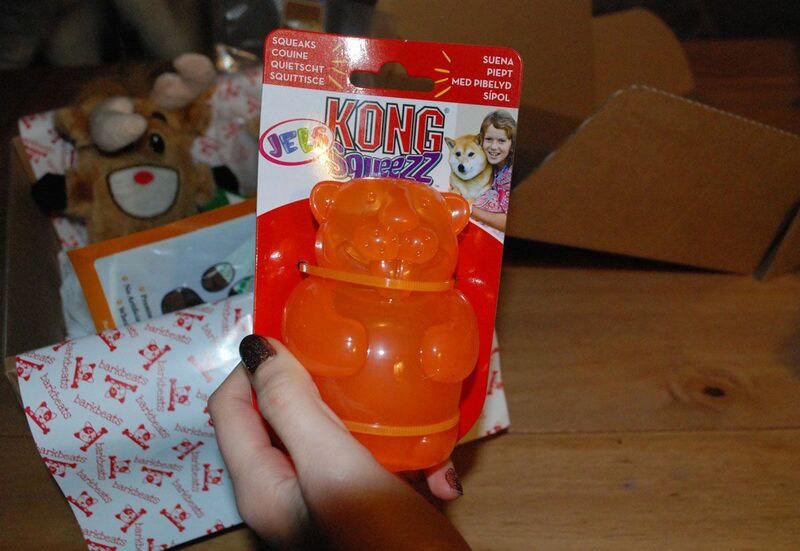 we love Kong toys anyway but this jelly rubber is even better than the traditional kongs stiff rubber material. 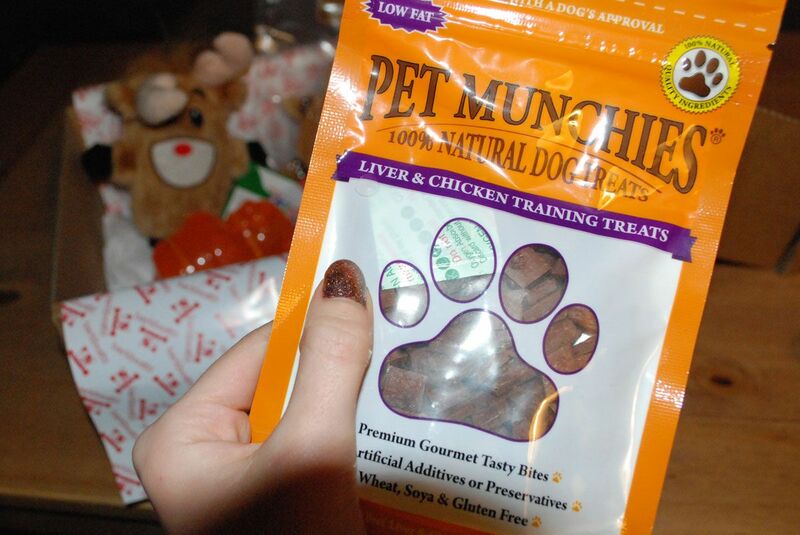 These training treats are the only thing that I thought weren't great but I was pretty wrong Milo loved them. The treats were super tiny but again I sprinkled some over his dinner and he ate the lot then always came looking for more. For £5 off of your first box you can use the voucher code ABBZZW5. Let me know how you get on and how much your pup loves the box.